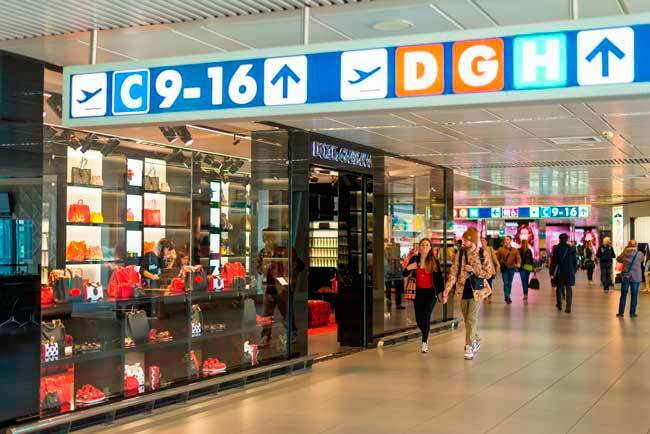 Use this website to quickly find the most important information about the Rome Leonardo da Vinci-Fiumicino Airport: Flights, Departures, Arrivals, Parking, Car Rentals, Hotels near the airport and other information about Rome Airport. Plan your travel to FCO Airport with the information provided in this site. Rome Airport, also named as “Leonardo da Vinci-Fiumicino Airport” (IATA: FCO; ICAO: LIRF), is the major international airport of the Italian city of Rome and the largest airport of Italy. It is located in Fiumicino, a town 35 km southwest from Rome city centre. Rome Airport is connecting the Italian Peninsula with several European cities and with the rest of the world. Leonardo da Vinci-Fiumicino Airport it the 8th busiest airport in Europe and the world’s 36th busiest airport in 2015. 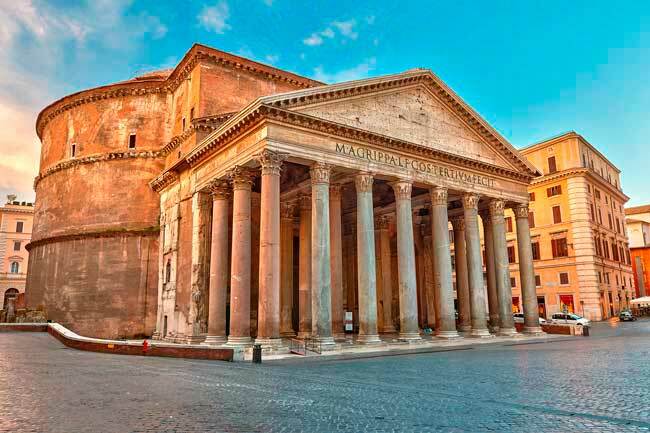 Rome is a very ancient and fascinating city, with more than 3000 years of history. Rome Airport is located in the town of Fiumicino, 35 km southwest from Rome city centre. 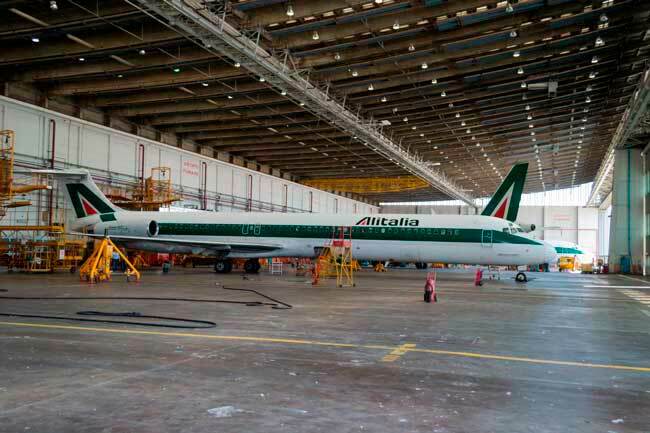 Rome Airport (FCO) is the main hub for Alitalia. In 2017, Rome Airport (FCO) handled 40,971,881 passengers. 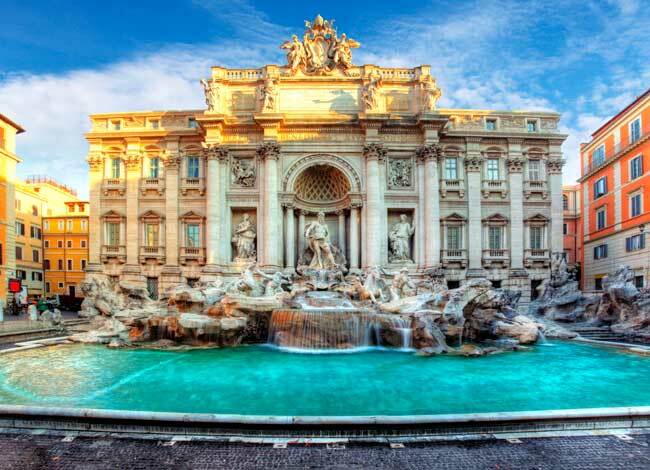 Don’t miss any attraction such as the majestic Fontana di Trevi, Colosseum, Pantheon or Roman Forum. Rome Airport is the main hub of Alitalia and Vueling, and some Spanish low cost companies as well. Rome Airport was renamed to honour the Italian polymath Leonardo da Vinci. Da Vinci invented in 1480 the first proto helicopter, which was very useful for the development and the establishment of it. In 2017, Rome Airport (FCO) handled 40,971,881 passengers. In 1960 it was launched to support the old airport at the summer olympic games. In 1961 started to have its own activity as the new official Airport of the “Eternal city”. Operates with domestic and Schengen flights. Operated with domestic, Schengen and Non-Schengen flights. 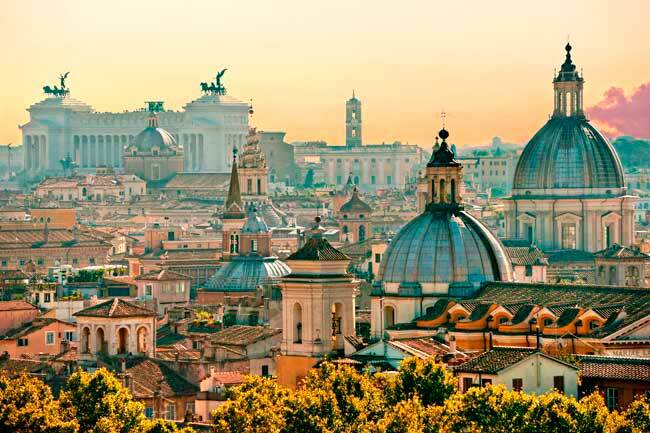 - Bus: There are several bus options that connects Rome Airport with Rome city centre. - Metro: Metro in Rome is called Metropolitana. It has a 5-10 minutes frequency. - Taxi: The ride from Rome Airport to Rome city centre takes between 40 and 60 minutes. - Tram: There are 6 Tram lines in Rome. - Car rental: Find the best option to rent a car in our search engine, it's easy and free! Rome is the Italian capital and so it has a lot of history. We will give you some tips so you won’t miss the most important attractions to see within the city. Rome has almost 3,000 years of history so it can be helpful to start from the very beginning. Start your visit at Palatine Hill (where the city was founded). From there walk down to the ancient city centre, the Roman Forum and after, the Colosseum. If you wish, you can visit the Vatican Museums (it is required to make a reservation in advance) and later walk to St Peter’s Basicilia. Get lost a bit in Trastevere and find yourself a good trattoria. Don’t miss the Fontana di Trevi, the Pantheon and the Jewish Ghetto. Address: Via dell’Aeroporto di Fiumicino 320 – 00054 Fiumicino (RM), ITALY.